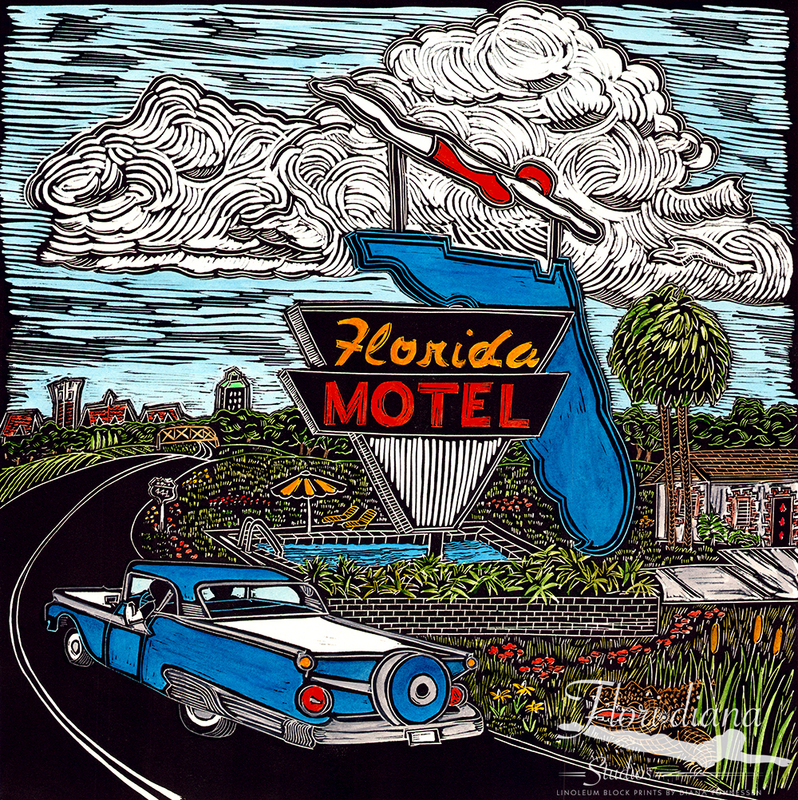 Artist’s notes: So named for the 1959 Ford Galaxy Skyliner hard-shell convertible in the foreground and the Gainesville skyline in the background. The current property owner claims the Florida Motel was the first motor hotel in Alachua County. I embellished the sign by adding a diver, but at a recent exhibit opening, one visitor insisted the sign once had a diver just like this one.